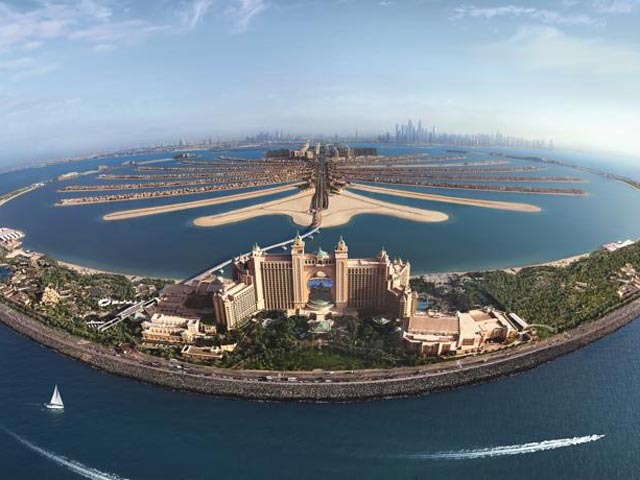 With its enviable location atop the crescent of The Palm Jumeirah, the opening of Atlantis, The Palm continues to redefine tourism in Dubai as it is the area's first truly integrated entertainment resort. Designed with subtle oceanic and Arabian influences, each Deluxe Guest Room offers magnificent partial views of the Arabian Sea or The Palm. The tranquility of the Arabian Sea is right on your doorstep, when you stay in one of our perfectly positioned Ocean Deluxe Guest Rooms. Enjoy stunning views across 1.4 km of pristine beach, The Palm and the Dubai Skyline when you stay in one of our Palm Beach Deluxe Guest Rooms. The Imperial Club is the perfect choice for guests seeking additional luxury and comfort with extra benefits worth over AED 3,000* per day. Relaxation takes on new dimensions in a Terrace Club Suite, standing at 94 square metres in one or two bedroom options. The Executive Club Suite is the perfect balance of comfort and space, stretching across 101 square metres in one or two bedroom configurations. You will feel like royalty in a Regal Club Suite. With 164 square metres of pure opulence, it is the perfect setting for some well-deserved rest and relaxation. Live the luxury. Love the value. In a two bedroom family suite, you can have the best of both worlds. At 220 square metres, the grandeur and majesty of the Presidential Suite provides an ideal balance between elegance, privacy and comfort. The Grand Atlantis Suite exudes luxury from every room in this palatial 429 square metre accommodation. Standing at 924 square meters with unrivaled panoramic views, the Royal Bridge Suite is private, exclusive and truly unique. Pools: For your enjoyment, two swimming pools are available. The Royal Pool provides a quiet respite from the energy of Atlantis, and the Zero Entry Pool is a more high-energy environment with a plethora of activities for families. ROYAL POOL Located at the front of the Royal Towers, the Royal Beach provides the best view the toward the cityscape of Dubai as well as first class view of Palm Jumeirah, offering a relaxing and calming experience. Hours of Operation: Daily 8:30am - 8:00pm ZERO ENTRY POOL The Zero Entry Pool is an ideal high-octane environment convenient for families with its kid-friendly design with a dining option just a few steps away from the family-friendly Nasimi Beach restaurant. Hours of Operation: Daily 8:30am - sunset Beaches: Atlantis offers over 1.4 kilometres of beautiful beach access, providing the perfect venue for a range of beach activities from volleyball to football matches. Please visit the towel hut near the Zero Entry Pool to see the schedule of events we have planned for you to enjoy. AQUAVENTURE BEACH Aquaventure has its own magnificent 700-metre beach, allowing visitors to combine a day at the water park with time by the sea. Hours of Operation: 10:00am - sunset. 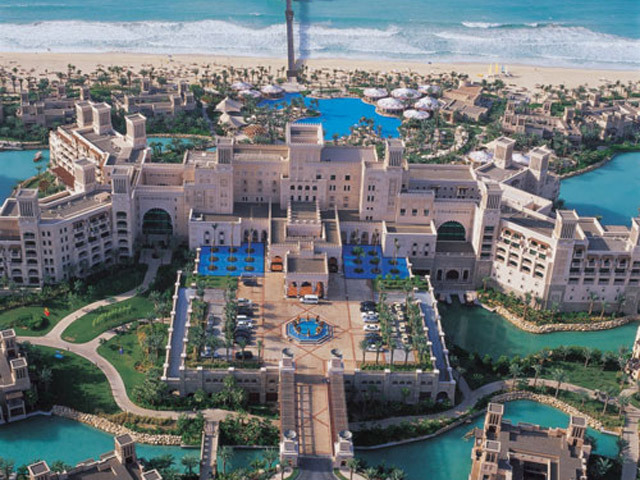 ROYAL BEACH Atlantis offers over 1.5 kilometres of beach access. Delicious refreshments and snacks are available around the beach area and the pools. Hours of Operation: 8:30am - sunset Tennis Courts: Whether you are looking for a lesson, challenging a rival or looking for a social clinic to meet some new people, our certified tennis professionals and staff await you at the Western border of the resort near the Zero Entry Pool. We have three hard-surfaced tennis courts, which are floodlit for night play for those who like to beat the heat. We offer a wide range of professional equipment available to hire. Hours of Operation: Daily 7.00am - 9.00pm* * Please book at least 12 hours in advance. 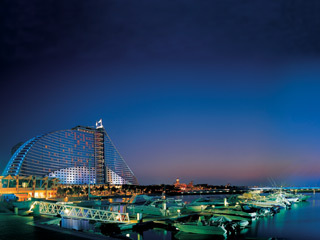 Home to some of the best restaurants in Dubai, Atlantis is truly a culinary destination. 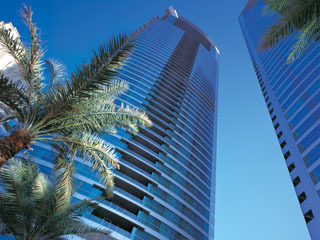 We are home to over 23 restaurants, bars and lounges serving over 28 different cuisines. From family-friendly options to fine dining experiences, Atlantis has got you covered. Immerse yourself in elegance. Ossiano is an award-winning seafood restaurant with stunning views of the Ambassador Lagoon, making it the most luxurious dining in Dubai experience at Atlantis. Gordon Ramsay's world renowned gastropub comes to Atlantis, The Palm. Enjoy a simply delectable British menu and exquisite beverages, open daily as well as Friday brunch. Legendary Japanese restaurant Nobu continues to redefine cuisine at Atlantis. Offering an exquisite dining experience in a stunningly attractive space, this famous Japanese restaurant is one of the hottest venues in Dubai. Seafire is quite possibly the best steakhouse in Dubai. Each Seafire steak is cooked to perfection using the finest cuts of our exclusive all-natural grain fed ‘Atlantis’ beef from Australia. Celebrity Chef Giorgio Locatelli has created an authentic Italian restaurant in Dubai with a family friendly atmosphere with a truly sophisticated menu of classic Italian cuisine. The rich and bold flavours of China's Szechuan province have made their way to Dubai. YUAN mixes classic Chinese cuisine with contemporary twists to create dishes that will truly delight. 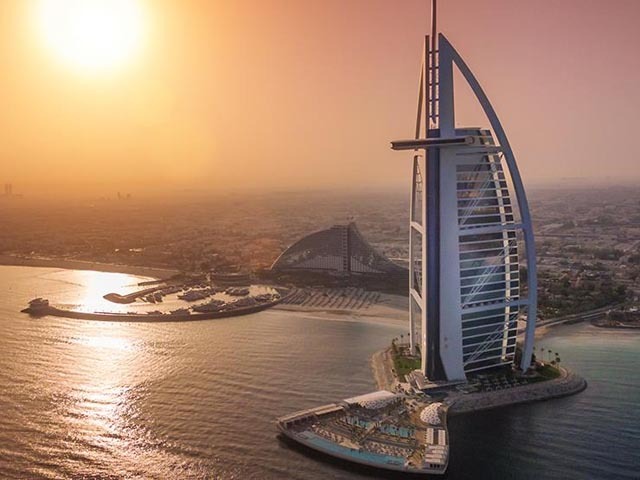 Welcome to Dubai's premiere beach club and restaurant destination. At Nasimi Beach, you can relax or party at your leisure, dine by the beach during the day, or join the hottest party at night. Saffron brings the finest in South East Asian cuisine straight to your plate offering you a taste of the best regional delicacies for breakfast or dinner. For the best burger in Dubai, look no further than The Burger Joint. TBJ's award-winning burgers are famous for their incredible taste and will satisfy even the most passionate burger connoisseur. Drawing inspiration from the rich culinary history of the Far East, Asia Republic offers all guests a combination of vibrant food in a casual atmosphere, filled with a host of bold colours and aromas. Illy Caffè is a unique place where the power of the illy brand meets the magic of the Italian lifestyle. Enjoy a delicious coffee, tea, croissant or pastry as you look out into the captivating and mesmerising Ambassador Lagoon. No other cafe in Dubai has a view quite like this. Barazura is an elegant cocktail bar in the heart of Atlantis. With its cool blue hues and striking metallics, Barazura serves only the best cocktails, mocktails, wines and champagnes. Located alongside the Royal Pool, The Edge is a poolside restaurant where you can relax and cool off with great food and a picture perfect atmosphere. Serving delicious Tex-Mex cuisine and located right next to the Royal Beach and Royal Pool, The Shore beachside restaurant is the perfect place to chill out during the day. Aquaventure Waterpark has over 15 restaurants and kiosks offering all sorts of meals, snacks and refreshments. There is always something quick, fresh and delicious on offer to suit every taste. You will find the best outdoor restaurants in Dubai at Atlantis with your choice of dining at the beach, by the pool, on a quiet terrace or in a secluded garden.